Tonight's tournament featured a top quad and a bottom swiss. It was NM Yoon-Young Kim who cruised to victory with a perfect 3/3 score in our top section. 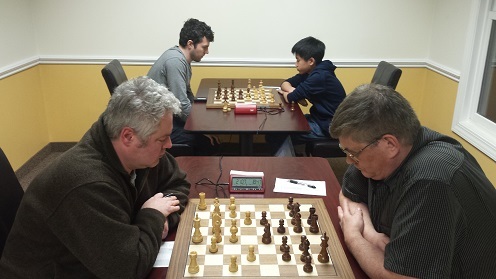 Brent McCreesh took the bottom swiss by storm with another perfect 3/3 score. Carl Scovens & Beatrice Low came in second, both with 2 points. Join us next week for more Friday Night Action!